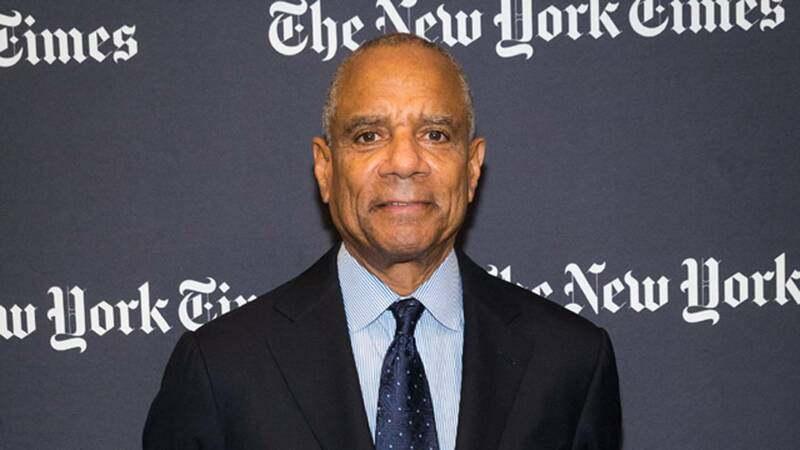 NEW YORK (CNNMoney) - Facebook is adding American Express CEO Kenneth Chenault to its board. The move is significant for the company: It marks the first black member appointed to Facebook's currently all-white board. Chenault announced in October that he would step down from American Express in February, after 16 years at the company. He is one of a few black leaders at a Fortune 500 company. "I've been trying to recruit Ken for years," said Facebook CEO Mark Zuckerberg in a Facebook post on Thursday. "He has unique expertise in areas I believe Facebook needs to learn and improve -- customer service, direct commerce, and building a trusted brand ... Ken and I have had dinners discussing our mission and strategy for years, and he has already helped me think through some of the bigger issues I'm hoping we take on this year." Facebook COO Sheryl Sandberg also posted on Facebook to welcome Chenault to the board. "I've been lucky to get to know Ken in his professional life as American Express CEO and as an advocate for equality in the workplace. Ken brings the highest level of integrity to everything he does -- and is an inspiring leader for so many of us," she wrote. Minorities and women are underrepresented on Fortune 500 Boards: Almost 70% of board seats at Fortune 500 companies are held by white men, according to a study from the Alliance for Board Diversity. Over the years, activists such as Reverend Jesse Jackson have put pressure on Facebook to diversify its board. The company continues to struggle to diversify its workforce, too. Facebook's latest diversity report from August barely moved the needle: It increased its Hispanic and Black workforce by 1% each to 5% and 3%, respectively. On February 1, he will be replaced by Stephen J. Squeri at American Express. His role at Facebook will become effective four days later. Facebook currently has eight board members, including Zuckerberg, Sandberg, Netflix CEO Reed Hastings, Whatsapp founder Jan Koum, as well as venture capitalist and PayPal cofounder Peter Thiel. Chenault is also a board member of other high-profile companies including IBM and Proctor & Gamble, as well as a number of nonprofits. In 2016, Google parent company Alphabet appointed former Federal Reserve vice chairman Roger Ferguson, the company's first black board member.